Certainly another great night of fights in the at UFC FIGHT NIGHT BRISBANE. At the top to the card we saw the King of the walk-off KO’s…walk off with another KO. You guys know I am a bit of a Jedi right? Take a little listen back to my fight predictions on the WhatGear UFC Podcast. 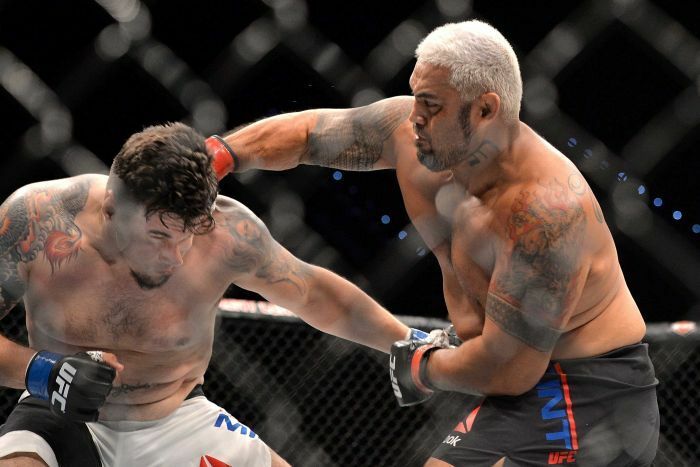 So I wasn’t surprised to see Mark Hunt take the victory early. It was quite clear that Frank Mir wanted to take this to the ground. In doing so he repeatedly started to change levels bringing his head low. It was just a matter of time before the Super Samoan got his timing. He clipped him behind the ear which completely rocked Mir and separated him from his senses. It was another sterling performance from Mr Hunt. He’s now walking off into the sunset looking for a new challenge. Another epic battle of the night the co-main event. Once again if you listen back to the WhatGear UFC podcast predictions. You might have heard me say if Magny could stick and move he could find his way to a victory which he did. As well as rebounding from some serious adversity. It was a shocking defeat for the Aussie fan favourite Hector Lombard who lost in round 3 by TKO. Credit to Hector thought, he hung in there for as long as humanly possible. Among other note worthy performances, Aussie native Daniel Kelly the heavy underdog took on TUF winner Antonio Carlos Junior. Kelly emerged the victor with amazing show of heart and determination. A really exciting fight with an unexpected result. Definitely worth a watch! Check it out on UFC FIGHTPASS.